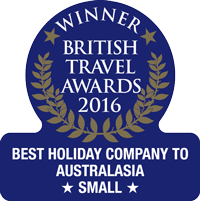 In November 2016, Distant Journeys was named as the winner of the ‘Best Small Holiday Company to Australasia’ award at the British Travel Awards. In November 2017, we were delighted to be recipients once again. To have won such a prestigious award two years running is a testament to the quality of the tours we offer and the great customer service we provide. 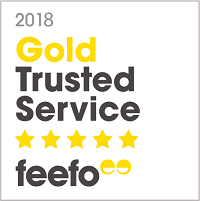 In March 2018, Distant Journeys was awarded the Feefo Gold Service Award. We won’t rest on our laurels though, as we want to constantly improve our service and build on what we do to make our tours even better for the future. 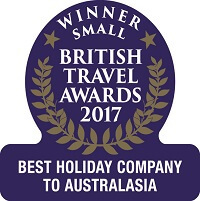 In the meantime, you can be assured that when you book a leisurely tour with Distant Journeys, you are travelling with an award-winning company.